We have an announcement to make its about His Holiness Sri Sri Ravi Shankar being in Udaipur on 10 March, 2012. 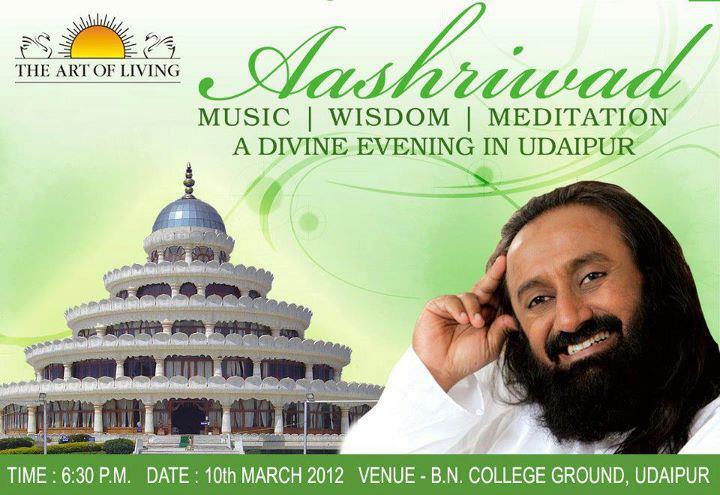 He will be here to bless us all and Solve our problems in a MahaSatsang to be held at BN College Ground, Udaipur. The event will start from 6 p.m. onwards where he will share his thoughts and wisdom. 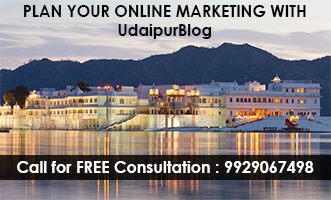 We invite you all to experience this One Such Big Event in our City of Lakes Udaipur and Be Blessed in this Mahasatsang – ‘ASHIRWAD‘. 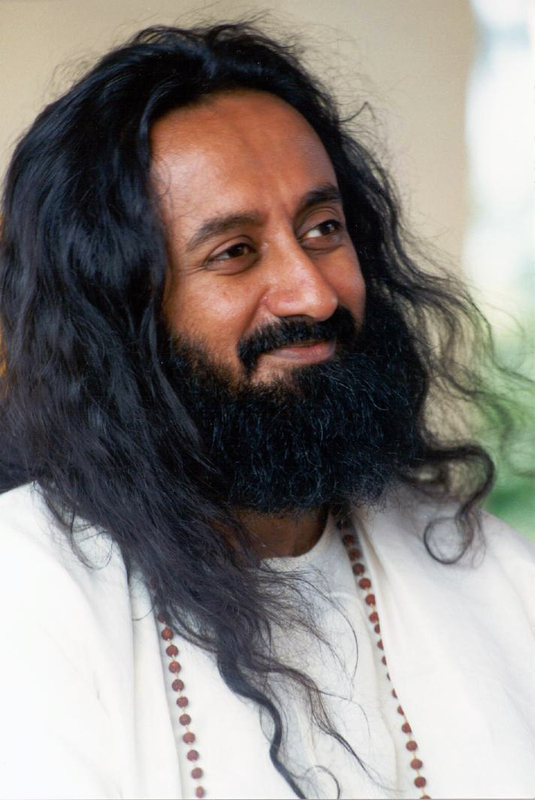 Jai Gurudev!!! Great!!! Enrollment Details?? Want to Book my 4 seats..